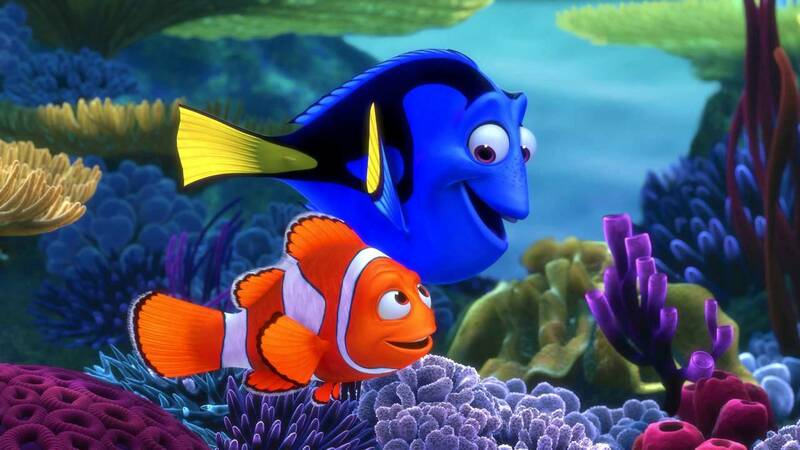 ‘Finding Nemo’ isn’t simply an adventure film. 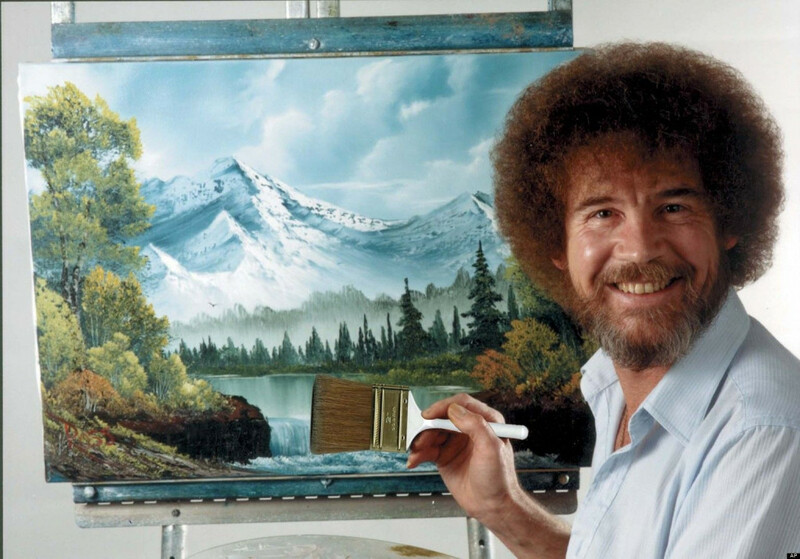 What guides it, more than the beautiful animation that details its protagonists’ journey, is the cause behind it, and the deeper undertones that strengthen character motives to an even further extent. The film is about relationships, the need to preserve them, and the pain of loss, all of which is captured and communicated with ample doses of tension, drama, and hilarity, as we follow characters, who are fish with human thoughts and feelings, done in an attempt to make its story and message universal in nature. ‘Finding Nemo’ is more than a children’s film because its values run deep into mature topics. 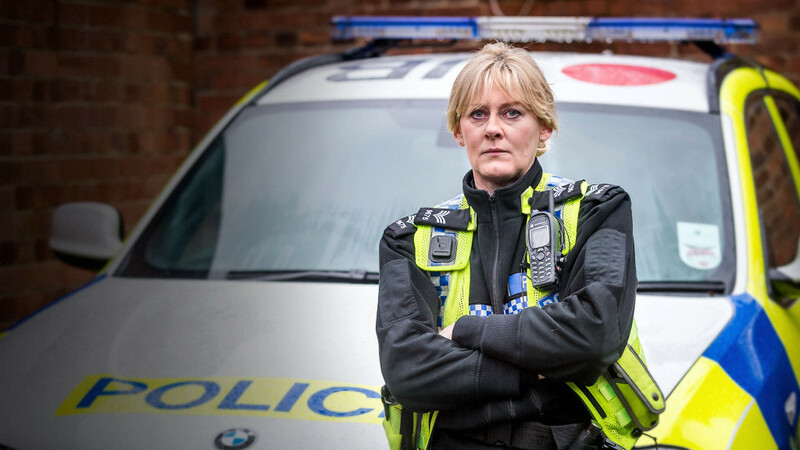 The essence driving the lead clownfish’s determination to find his son is something that can affect adult audiences more than it can the minds of younger viewers. 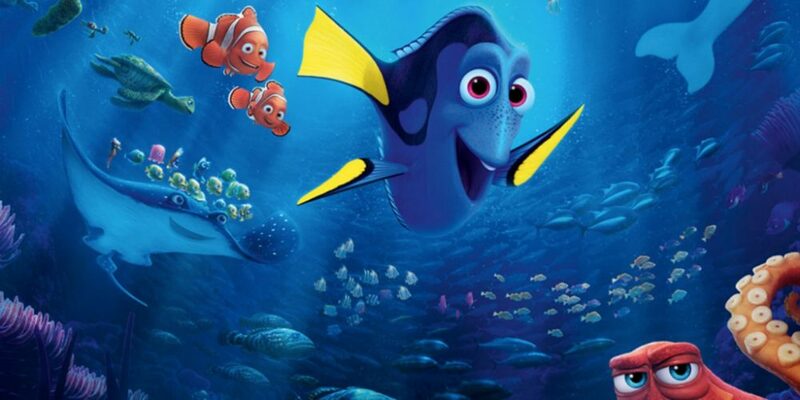 To find films similar to ‘Finding Nemo’ isn’t easy, because while there are plenty of movies that handle the topic of a lost child and the subsequent search to find them, few carry this out with the pleasantness that the Disney-Pixar comedy-drama does. Here, I’ll be focussing on those films similar to ‘Finding Nemo’ when it comes to their plot, style, locations, and concluding messages. You can watch several of these movies like Finding Nemo on Netflix, Hulu or Amazon Prime. I’ve probably seen this film, that has become something of a meme now in several film circles, more times than I have ‘Finding Nemo’, and I don’t have much to say in my defense. 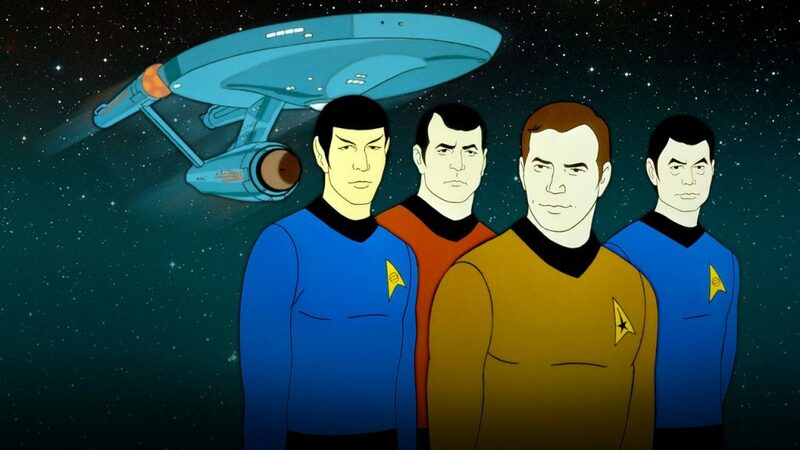 It isn’t a very well made picture, and I realize that now, though the younger version of me did admittedly go nuts for it from the minute he got out of his first viewing in the theatre. It’s a fine film for children, with dumbed down character arcs, a somewhat enjoyable story about the bigger fish who aren’t really as menacing as they seem, and it has a family dynamic to it that you can relate to, though not fully appreciate because of the lack of good writing. You know that sense of total upliftment, when the character you’ve related to on so many levels finally gets what he wants, and is in a state of joy after a long period of sadness, in such a way that he ends up not knowing how to express his delight? (films like ‘It’s A Wonderful Life’ (1946) come to mind) ‘The Pursuit of Happyness’ ends this way, and I would be lying if I told you that I didn’t shed tears. 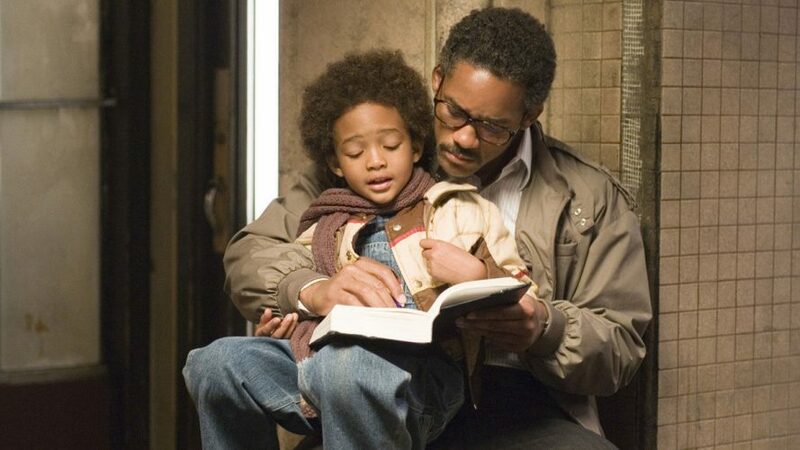 The film relates the real-life story of Chris Gardner and his search for happiness amidst the miserable excuse that he considers to be his life. Along with his son Christopher, Gardner goes through stages of hopelessness and desperation, moments which leave him confused about what to do next, though he’s not exactly willing to give up. A sweet, emotional film that can uplift anyone who sees it, the main reason I adore this picture is because of its natural, unadulterated portrayal of a father-son relationship. I watched the films from the Taken franchise in reverse, so when I say the first installment is the best of the lot, you know I don’t have any bias towards any of the pictures. 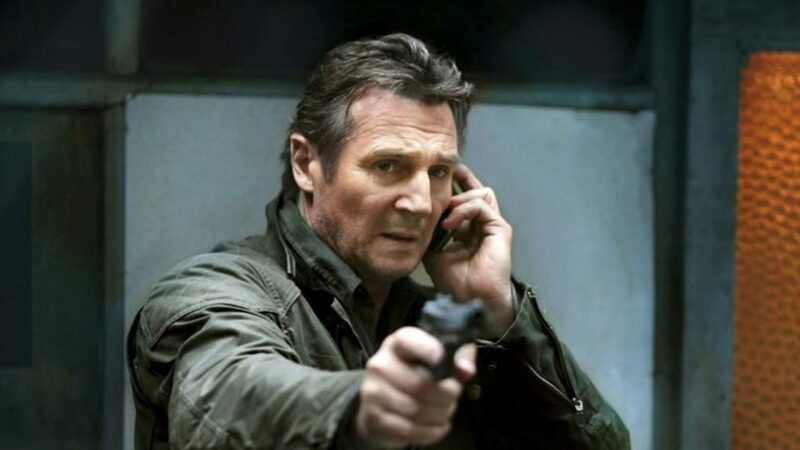 The plot to ‘Taken’ is quite well-known, about the search conducted by a man (who happens to be an ex-CIA agent) to figure out the whereabouts of his kidnapped daughter. 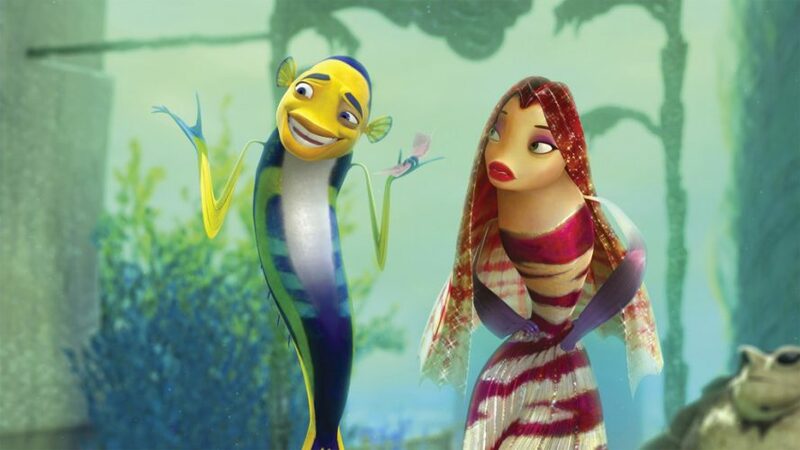 While it’s a lot grimmer than ‘Finding Nemo’ and doesn’t hold much value in the categories relating to charm, sweetness, and adorability, it still understands the pain that sprouts from loss, though most of its emotions are masked under action sequences and memorable dialogues. There’s a scene in ‘Finding Nemo’ where the little clownfish son is first informed that his father is out there in the big blue ocean in search of him. His reaction underlines one of the major themes of that movie, which is the importance of love, sticking out for one another, and an understanding of the responsibility one has regarding their children. 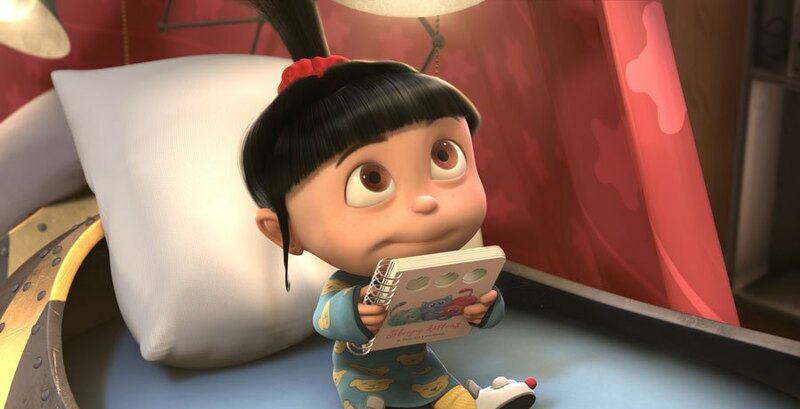 ‘Despicable Me’ is a light-hearted interpretation of the same themes, with its protagonist, the criminal mastermind Gru, having to connect to the three orphan girls whom he has adopted for carrying out an evil plan. Their antics and warmth finally win him over after the initial dislike he took to them, which strengthens the base of the picture’s emotional strength. ‘Kaazhcha’ (Sight) is a wonderful Malayalam film that touches on the importance of family and togetherness. When a young Gujarati boy finds his way to Kerala after the devastating earthquake that affected his homeland, he is received by a small, innocent family, initially with a strong sense of distrust on their part, though this slowly grows into affection with the passage of time. The tensions of the picture are all personal in nature, budding from when the government issues an order for the boy to be returned to his family in Gujarat, something the family finds difficult to bear, though their moral dilemma strikes when they think of the parents of the poor child. ‘Up’ is an animated film from Disney-Pixar, and it may just be my favorite of all their works, perhaps following ‘Finding Nemo’. A good number of Pixar productions are concerned with adventure and relationships, and these two factors don’t run short here either. 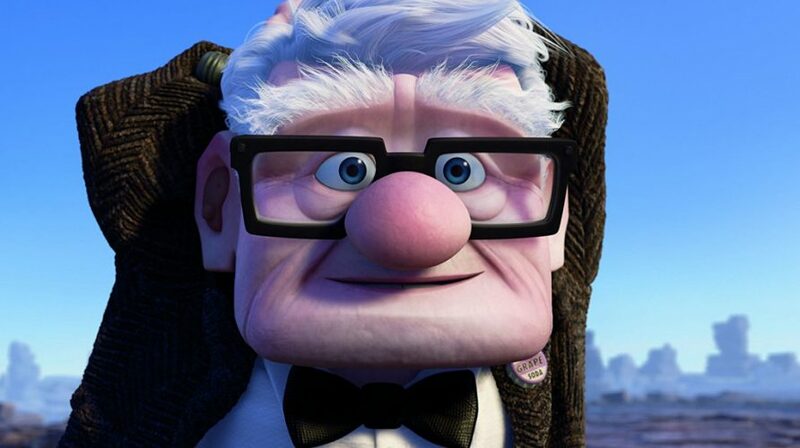 ‘Up’ tells the story of Carl Fredricksen, a senior widower with nothing exciting going on in his life apart from the memories he holds close to his heart, about his departed wife and the wonderful adventures they hoped they’d have. One fine morning, Carl ties a whole bunch of balloons to the roof of his house, and it literally lifts off from the ground, floating in the air with steering handled by the old man. Along with him on his journey to Paradise Falls is Russell, a young boy scout who accidentally becomes a part of the ride. Their conversations, similarities, and differences are what make the film, and give a sense of intrigue to everything that they come across during the trip. I think this was the first Disney film I ever saw. 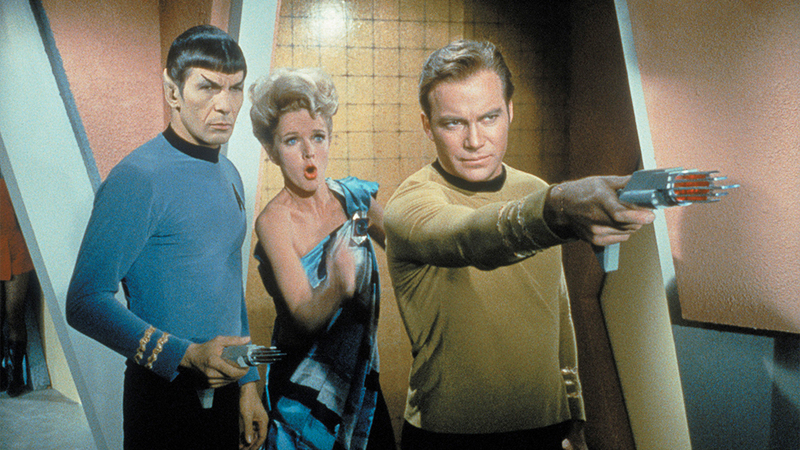 I’ve watched it several times now, and it still holds the magic it had to it from that early viewing. 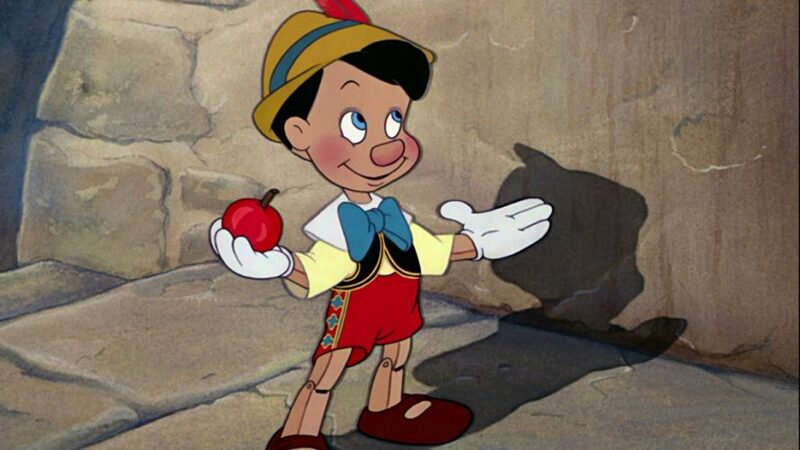 One day, Geppetto, a puppeteer, carves out a wooden boy whom he christens Pinocchio, who later that night magically comes to life with the aid of Jiminy Cricket, his supposed ‘conscience’. If anyone’s read the famous fairy tale, they know that the story soon changes drastically, as Pinocchio, on his way to school, (yeah, a lot of things happen in between) gets distracted and leads himself down a very dangerous path, ultimately straying away from home without his own knowledge. Geppetto’s love for his creation that he ends up treating as his own son is finally understood by the puppet in the masterful last act of the feature, wherein the two characters are engulfed by a gigantic blue whale. Brad Bird’s ‘The Iron Giant’ is above everything else, plain and simple. 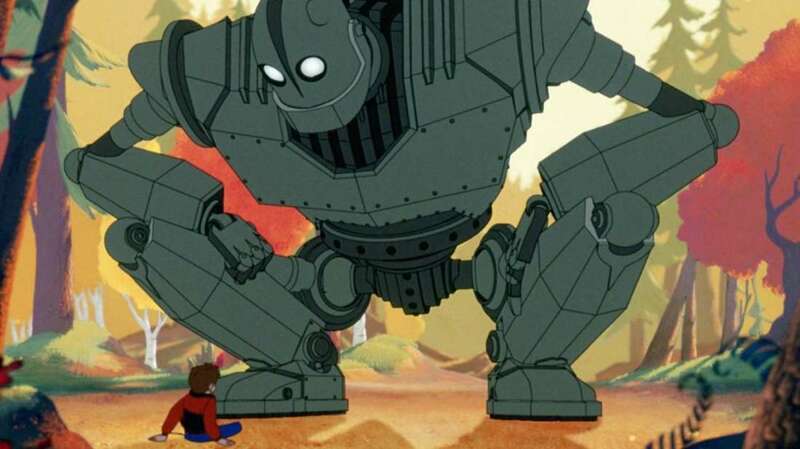 Talking of the relationship between a young boy and an alien life-form that resembles a gigantic iron robot, it grounds its message on the beauty of life as the giant learns of the same from his newfound companion. When a government agent seeks to obliterate the potential menace (being the alien whom we’ve come to know as a naive, harmless creature by this point), the boy must act fast to help save the life of the friendly behemoth. I’ve always respected the way characters depend upon each other in great animated films such as this one, because it isn’t really something you can portray in live-action cinema, at least with this level of sweetness, meant to attract the child in all of us. I’m not going to say this is one of my favorite Pixar films, because it isn’t. The film has a whole bunch of problems, a major one being its total similarity to the original ‘Finding Nemo’. While I say this, I also think fans of the 2003 classic will find themselves enjoying the adorableness associated with the characters they loved in this new adventure, where Dory is in search of her parents, after having flashes of images from her past fueled by a desire to learn more about herself. Accompanied by Marlin and his son Nemo, the three fishes cover a good portion of the great ocean, which is portrayed pretty well, though the characters aren’t half as interesting as we remember them to be. ‘An American Tail’ is ‘Finding Nemo’, but with mice, and a stronger sense of reality (mainly because its events transpire above sea level). A young Russian mouse is separated from his parents while immigrating to the United States, and the film documents his attempts at rejoining with them. Don Bluth’s cinema has always been worth admiring, because he never really follows a structure while telling his stories, making them unpredictable, exciting, and intriguing. His characters are chirpy, well-written, and have clearly defined problems and motives. 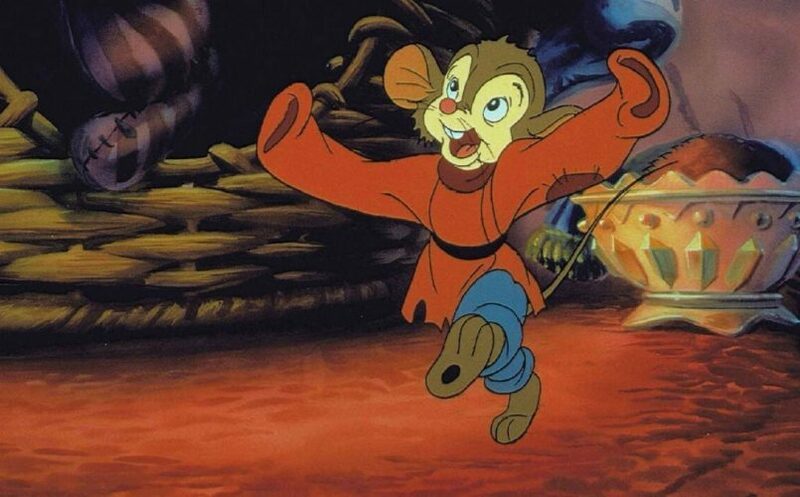 ‘An American Tail’ is a particularly emotional film, because while being a comedy on the whole, it communicates a sense of loss with exceptional accuracy.